There is a lot of action going around the rumour mill at the minute in both the Super League, Championship and NRL. Wakefield Trinity are interested in bringing Newcastle Knights forward Pauli Pauli to the club. The club had become frustrated over their attempts to sign the NRL but recent talks have picked up between the club and his representatives. And it is understood that a deal looks set to be finalised with the next week and Pauli will join the Trinity front-row alongside Anthony England, Keegan Hirst and Craig Huby next season. Kevin Penny is attracting a lot of interest from a range of Championship clubs. 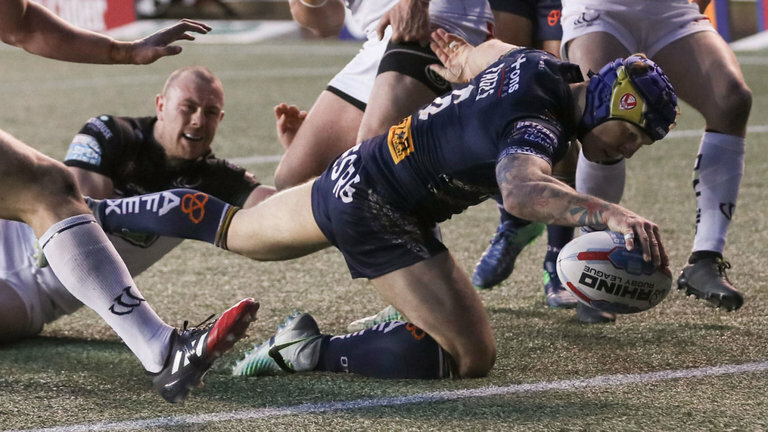 Featherstone Rovers and Toronto Wolfpack are believed to be the frontrunners for his signature while his former club Swinton Lions have also expressed an interest. The rapid winger’s contract expired at Warrington Wolves at the end of the 2017 season and wasn’t renewed by the club so he is now a free agent. Five NRL clubs are reported to be keen on signing St Helens star Theo Fages for the 2018 campaign. The France captain has had a brilliant year with the Saints and the 23-year-old has a lot of potential to go on to achieve great things in the game. He has already made over 100 Super League appearances and Newcastle Knights are one of the clubs closely monitoring him. Prop forward Jo Taira is close to penning a contract extension with Rochdale Hornets. The highly-rated Fijian forward has become a fans favourite at the Hornets and is expected to sign a new deal for the 2018 season with the Championship outfit. It was understood that a host of clubs in the Championship and League 1 were after his services for next season but he is set to remain at the Crown Oil Arena for next season. Canberra Raiders have made it clear to former Red Devils star Todd Carney that they do not want him for next season. Former Dally M Medal winner Carney had a chat with Canberra coach Ricky Stuart and a couple of his former Raiders teammates at Jarrod Croker’s wedding last week. And a possible move back to the Raiders was discussed but the club’s board rejected the opportunity. According to reports, Carney would be willing to take a salary of $100,000 to play in the NRL and finish his career there. Widnes Vikings want to make hot prospect Ryan Hampshire their latest signing for next season. Hampshire is out of contract after his deal with Leigh Centurions was made null after they lost the Million Pound Game and were relegated. It is understood that Leigh are keen to keep him but he doesn’t want to play in the Championship. Hampshire is a half-back but can play at full-back or on the wing and his versatility appeals to the Vikings. What are your thoughts on these possible transfers? Would they be good for the players and clubs? Let us know in the comments below.